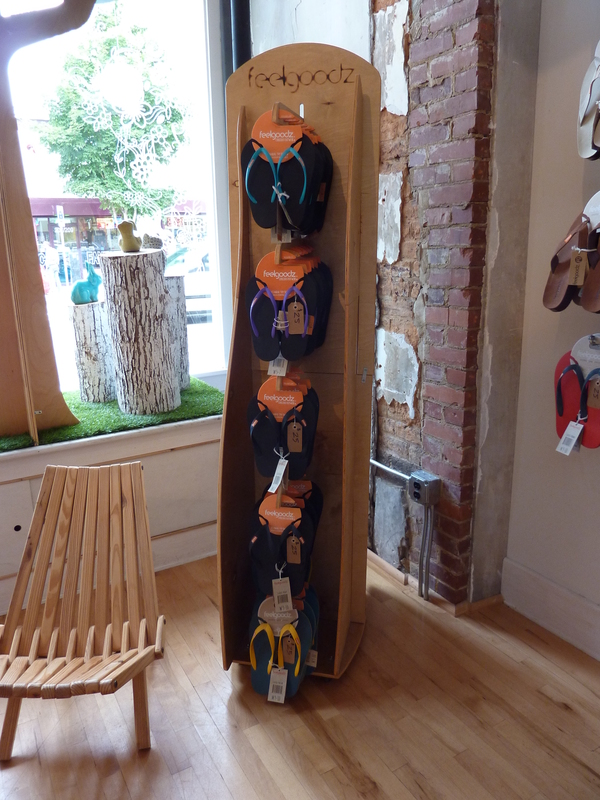 It’s summer in the city (Raleigh, N.C., that is), and we’re kickin’ back at a local shop that carries comfortable, sustainable footwear made from natural rubber. Feelgoodz are made for the self-proclaimed soul traveler who values comfort and consciousness–they care about who makes the product, what they’re made of and how people are treated in the process. 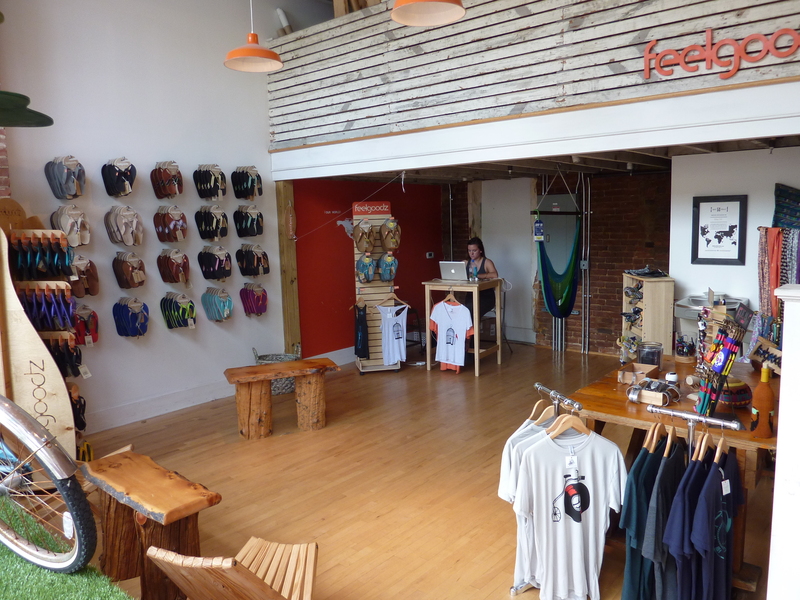 Founded in 2008, Feelgoodz relocated to the area in 2011 and continues to support farmers and artisan cooperatives in Thailand, Vietnam and Guatemala. Its product descriptions say things like “Made from soft 5L natural rubber. Molds to your feet,” and “Podiatrist-Designed footbed with proper arch support and heel cup. Veggie-Tanned suede upper.” You won’t find that at any big box store! 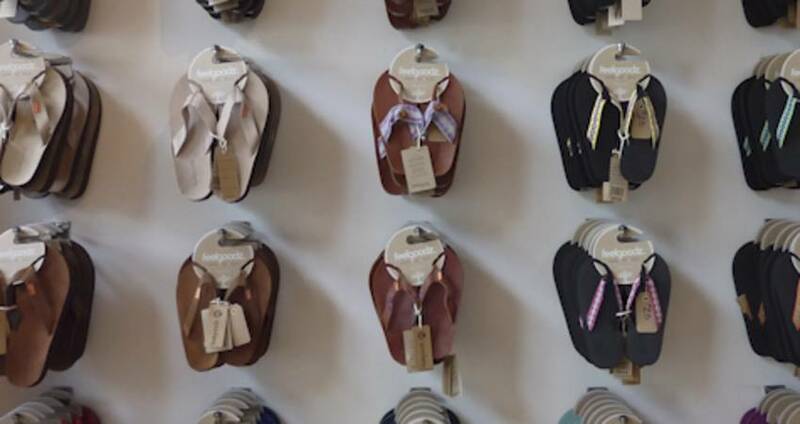 The footwear is made for all walks of life and the company is committed to bringing you 100-percent, all-natural products with no PVCs, toxins or artificial dyes. The Flopz are designed to be easy to pack, casual and deconstructed (raw edges, fraying, revealed linings and unusually sewn seams; garments that appear unfinished, recycled or give the illusion that they’re coming apart are the epitome of this relaxed trend). The design molds to the shape of your foot, creating a custom footbed that provides support with every step you take. Musician Jack Johnson is a fan of the brand and in celebration of 2014’s Earth Day, Feelgoodz launched a new product line called “Jack Johnson by Feelgoodz.” Proceeds benefit the Kokua Hawaii Foundation, which supports environmental education in the schools and communities where Johnson grew up. The collection consists of one women’s style priced at $24.99 and one men’s style at $49.99. 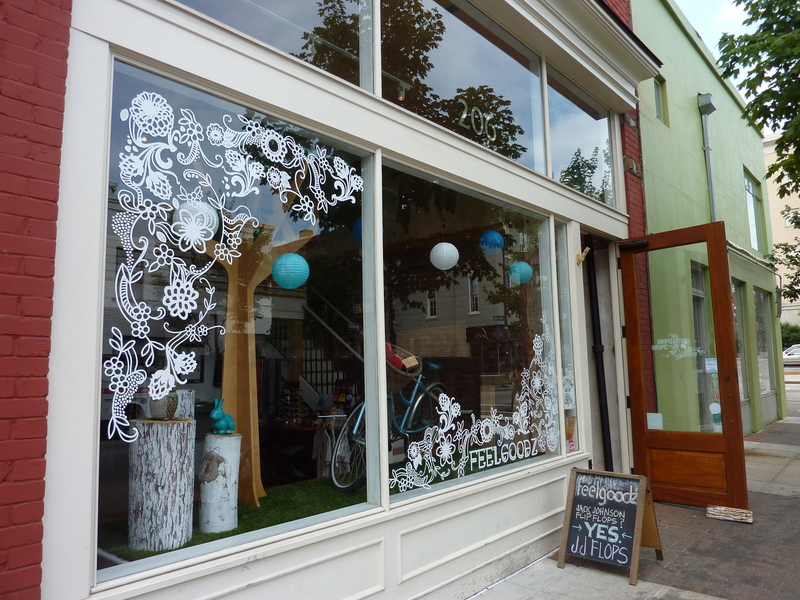 Both are available at Feelgoodz.com, on Johnson’s website and his North American tour (which passed through Cary’s Koka Booth Amphitheatre) and in The Treehouse (Feelgoodz’s downtown Raleigh storefront, just around the corner from Raleigh Times Bar). With its “farm-to-foot” message, the Feelgoodz brand has seen aggressive growth in the last three years with expansion into 300 Whole Foods Markets stores, including the Wade Avenue location. Conversations have also begun with Nordstrom and REI, so availability is likely to grow. The heart of its work continues to be empowering communities through fair, dignified and sustained wages. From the highly skilled Thai and Vietnamese rubber farmers to Hmong weavers, hang tags on Feelgoodz products tell the stories and bear the signatures of the women who made them. So you can “feel good” about your purchase.